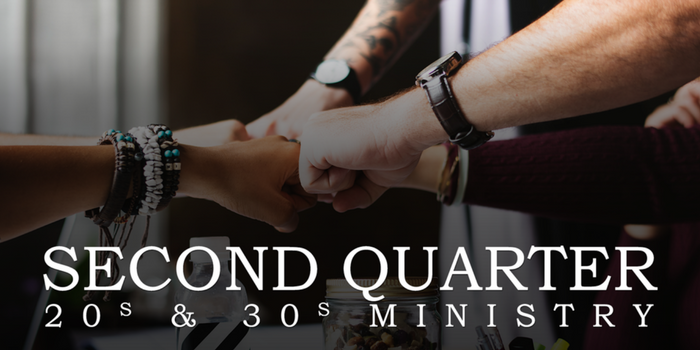 heridan’s Second Quarter is a new fellowship ministry for people in the second quarter of life, young adults in their 20s and 30s. This ministry is devoted to building a deeper connection between those in this similar point in life. It offers a space to create community and friendships, to dig deeper into what it means to be a Christian today and to draw closer to God. We meet together on the second Sunday of every month following the 11am worship service in the Connections Cafe’. Feel free to bring your family, kids, friends. If you’d like to sit together in church at the 11am worship service on the second Sunday; we will sit near the sound booth. Second Quarter also has monthly events and fellowship opportunities in between! Keep up to date on activities with our Facebook Group. Interested in helping to plan/lead Second Quarter events? If you’d be interested in joining an informal committee to grow Second Quarter Ministries in the new year, email or message Cathryn Breutzmann. This would consist of meeting 1-2 times a year to help brainstorm ideas and helping lead an event or two if willing. Thank you for considering! Have ideas for service projects? Let Cathryn know; we can apply for Thrivent Action Teams to help defray costs or expand our impact. For upcoming events, visit our Second Quarter Facebook Group.